A delicious fruit preserve that leaves your pallet savouring the flavour of freshly cut fresh peach combined with the special flavour of lemon – and the warm and exotic taste of summer. Put the peaches into a blender and mix until they are chopped into pieces (be careful they do not turn into a pulp). Transfer the mixture into a small saucepan and add the sugar, lemon juice and half a teaspoon of salt. Bring the mixture to the boil and stir frequently. Continue stirring until the mixture is bubbling and when you remove the froth you see the pieces of fruit rising to the surface. Finally, remove from the heat, allow the mixture to cool and place in the refrigerator until it has cooled down completely. 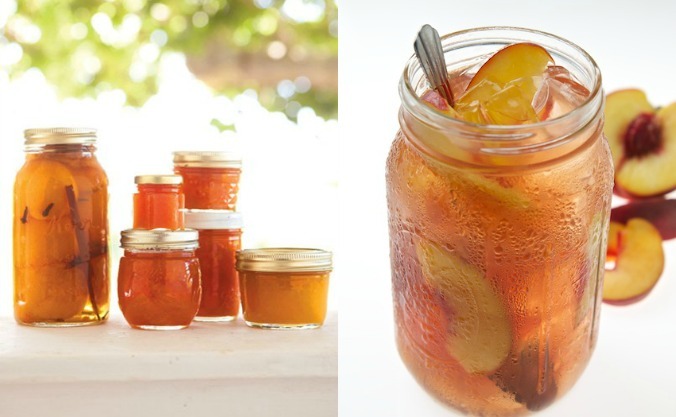 Your refreshing fruit preserve is ready. Enjoy!